The Digital PTO Basic Plan offers a high quality website with features like our powerful Events Calendar, Expanded theme selections and Unlimited News and Informational Pages. The Basic Plan is perfect for schools that want a high quality website but are not ready to start collecting data or payments online. The Basic plans unlocks our expanded theme library for even greater customization. Added features include an integrated standard Events Calendar, PDF document uploading and online viewing, the ability to use your own custom domain, Advanced spam protection and direct email support. The Basic Plan also offers unlimited news posts and informational pages as well as the ability to upload images and have them perfectly sized with one click. Basic Plans receive 200 Mb of storage space. The Basic Plan has access to customizable themes with limitless color palates to select from to match your school from our standard theme library and Starter Plans also have access to a dozen more advanced themes from our Enhanced Theme Library. We are constantly introducing new features, themes and functionality as well! Basic Plan Members also have the ability to use a custom domain name (YourSchoolsPTA.com) in addition to the free Digital PTO domain you receive. 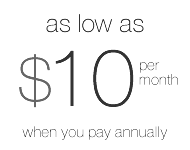 To top it all off, All Paid Plan Members receive priority support via our Help Center and Email Support System. Basic Plans have NO third party advertisements, so you can rest assured that you will not have a distracted audience. 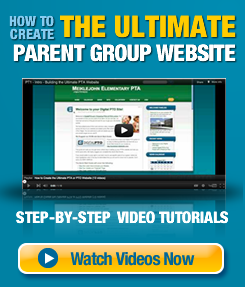 If your Parent Group does not need to collect information from forms online or payments on your website, this is a great plan to select.